Anders Muskens (b. 1993) began piano studies at the age of 4 in Edmonton AB, Canada. He completed his Associateship in Piano Performance from the Royal Conservatory of Music, Toronto at the age of 15 under the tutelage of Dr. Irina Konovalov. He received numerous awards and scholarships including: first place at the Early Music Young Ensemble Competition at the London Exhibition of Early Music 2018 in a duo with soprano Tinka Pypker; the „Hofkapelle Elbe-Elster“ für das Jahr 2019 prize at the „Gebrüder Graun Prize“ 2018 in Bad Liebenwerda, DE with Das Neue Mannheimer Orchester; the Provost Music Festival Plaque at the Alberta Music Festival in Calgary CA, the Edmonton Kiwanis Festival in Edmonton CA; the Winspear Fund Scholarship for Advanced Classical Music Study; the Ranald and Vera Shean Memorial Award; and competed at the Canadian Music Competition National Final in Quebec CA. 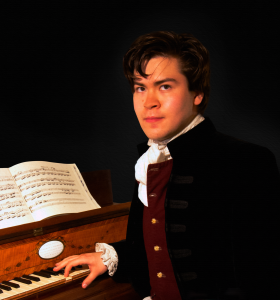 He is currently studying fortepiano and harpsichord at the Royal Conseravtoire of The Hague under Dr. Bart van Oort, Petra Somlai, and Fabio Bonizzoni. In addition, he also experiments with historical oboes, and holds a degree in electrical engineering. Anders also plays in many other ensembles, including Ensemble La Favorita. He has played in the H.I.F. Biber competition in Linz AT, the Musica Antica Festival Bruges, the Laus Polyphoniae festival in Antwerp as part of the International Young Artist’s Presentation 2017, the Utrecht Early Music Festival, and the Mini Mozart Festival in TivoliVredenburg, Utrecht NL. Anders co-founded Das Neue Mannheimer Orchester with Beniamino Paginini at the Royal Conservatory of The Hague in late 2016. Beniamino Paganini (b. 1994) discovered his passion for early music at a young age and started his traverso and harpsichord studies at the Conservatory of Bruges. 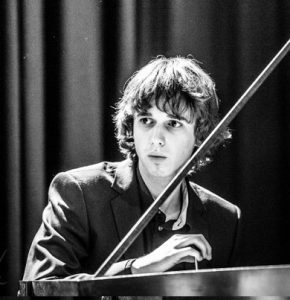 Aged 16, he entered the Royal Conservatories of Brussels and studied traverso, with Barthold Kuijken, Frank Theuns and Jan De Winne (master diploma with great distinction in 2016) and harpsichord with Frédérick Haas. He is currentlycompleting a Masters in maestro al cembalo at the Royal Conservatory of The Hague. 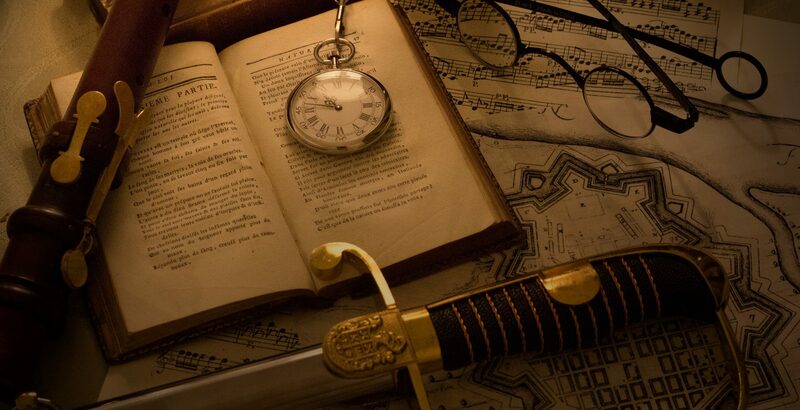 In addition, he participated in master classes with Patrick Beuckels, Marten Root, Karl Keiser, Kris Verhelst and many others and studies musicology at the University of Leuven. He received several first prizes, and played traverso in the semi finals of the renowned International Competition Musica Antiqua Brugge (2014) and of the 8th International Telemann Competition (2015). Beniamino plays with various orchestras and ensembles, such as Il Gardellino (Jan De Winne and Marcel Ponseele), Scherzi Musicali (Nicolas Achten), Ensemble Apotheosis (Korneel Bernolet) and Concert Royal Köln (Karla Schröter), in a variety of projects (recitals, chamber and orchestra music, vocal works and operas). In 2006 he founded his early music ensemble and choir Musica Gloria with which he performed concerts in Belgium and the Netherlands, often with theatrical elements. In 2015 he has been appointed as harpsichord teacher and accompanist at the Academy of Veurne.